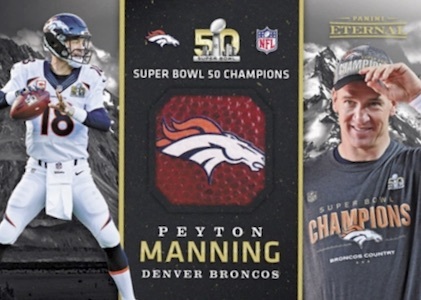 While many of the new on-demand sets focus mainly on real-time collectibles for recent events, 2016-17 Panini Eternal documents the truly monumental moments in sports history with game-used relics and even jewel cards. 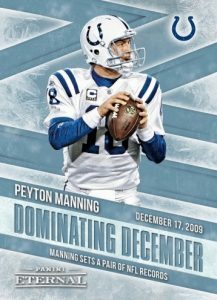 New cards will release each week through Panini's online store for a limited period. 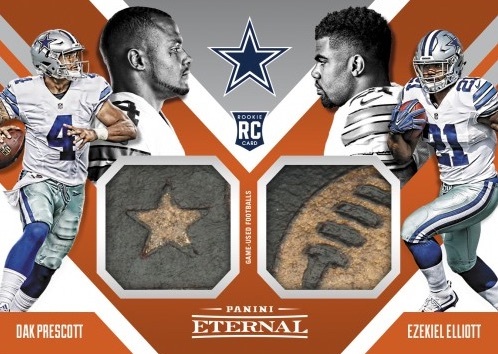 2016-17 Panini Eternal showcases several different tiers that include base, relic and autograph versions. Prices can vary based on the subject and there is no set pattern for the options available for each card. Not arranged like most of the other on-demand sets, the 2016-17 Panini Eternal checklist is composed of separate insert lines issued over multiple weeks and months. 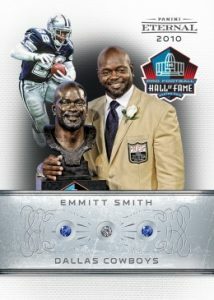 This includes Pro Football Hall of Fame, Celebrating 20 Seasons in honor of Kobe Bryant, and Collegiate Champions for NCAA title winners. 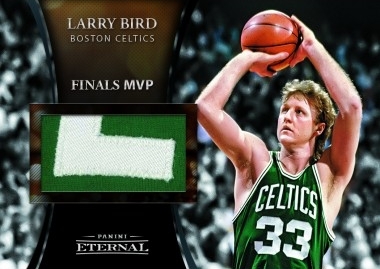 Other themed sets cover Finals MVPs for the NBA, while football fans can chase Monday Night Memories and Super Bowl Stubs. 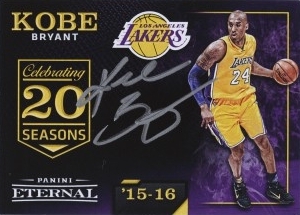 View the tab above for the full 2016-17 Panini Eternal checklist. It will be regularly updated with new information. 2018 Panini Eternal Magnificent Moments Autograph Iker Casillas 10 25! 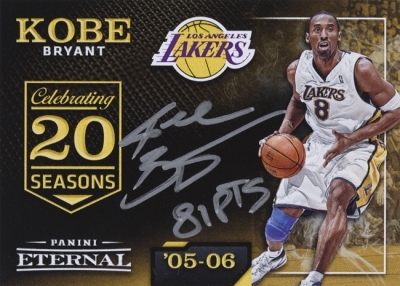 2016-17 PANINI ETERNAL FINALS MVP KOBE BRYANT 09 & 10 NBA FINALS LAKERS SP 136! 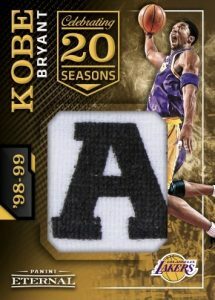 Cards are listed below in order of release date. Shop available cards on Panini. Most cards have relic versions or jewel versions. RELIC PARALLEL CARDS(*): Base Card, Base Relic, Purple Relic #/99, Gold Relic #/50, Blue Relic #/25, Green Relic #/10, Orange Relic #/5, Black Relic Parallel 1/1. 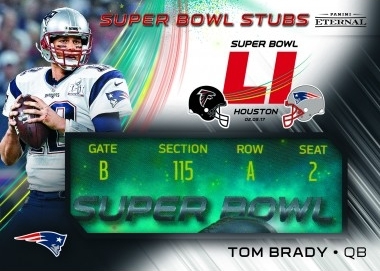 SUPER BOWL PARALLELS (SB): Base, Blue #/5, Black 1/1. DOMINATING DECEMBER PARALLELS (DOM): Base, Green #/5, Black 1/1. Shop for available Eternal cards on eBay using the links below. PARALLEL CARDS: Relic #/25, Black Relic 1/1. 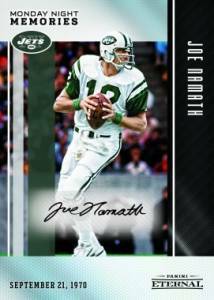 AUTOGRAPH PARALLEL: Green #/10, Black 1/1. RELIC PARALLEL(**): Green #/10, Black Prime 1/1. 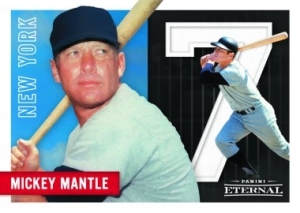 PARALLEL CARDS: Base, Blue #/7, Black 1/1. 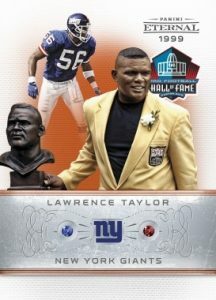 Over $5,000 to complete a set of one player.